President of the Russian Academy of Arts. Academician. Outstanding Soviet and Russian pianist. People’s Artist of the USSR, State Prize of the Russian Federation Laureate. Companion of the Order of Merit for the Fatherland (3rd and 4th class), Order of Honor, Honorary Member of the Balzac Academy (France), Imperial Academy of Arts Honorary Member. Nikolai Petrov is «an outstanding contemporary pianist, one of the greatest masters of piano art, winner of many awards and titles, a giant among pianists». These are the lines from The Christian Science Monitor newspaper. Great conductor Yevgeny Svetlanov often worked with N. Petrov and called him «the most remarkable performer of his generation». Nikolai Petrov was born on April 14, 1943 in Moscow. His grandfather Vasily Petrov was a famous Russian bass singer, performed alongside FyodorChaliapin and Antonina Nezhdanova at the Bolshoi Theatre. His father was a cellist and mother was known as a musical playwright. His future was predestined due to their family traditions and his phenomenal gift. He started very early and his first teacher was grandmother, who splendidly played piano. Then there were famous T. Kestner from the Central School of Music and Professor Ya. Zak from the Moscow Conservatory. Thanks to his strong creative personality, phenomenal technique, unique memory, bravery, passion and special performing magnetism, so attractive to the audience, Petrov made an early statement. 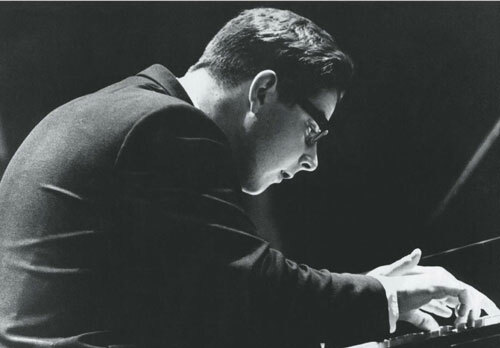 After getting many deserving titles at prestigious international competitions such as the Van Cliburn Competition in the United States (1962) and the Queen Elisabeth Music Competition in Brussels (1964) Nikolai Petrov became the soloist of the Moscow Philharmonic Orchestra. He was just 22 then. There he worked for more than a half a century performing up to 100 concerts a year. With some of the best orchestras in the world he played for the audience at the most known concert halls: Carnegie Hall, Albert Hall, Concertgebouw, Salle Pieyel, Teatro Colon. The most beloved concert stage for N. Petrov is the Moscow Conservatory Great Hall. Here is a place for his nominal season. For many years it’s warmly welcomed and the audience loves its diversity and elegance united by a single artistic conception. The repertoire consists of works of all genres and styles. However, Petrov himself especially loves difficult virtuosic pieces composed for piano. Nikolai consciously decides to work on such hard material. That lets him perfectly solve any problems and remain one of a few performers in the world who have such perfect technique. Recently the pianist that frequently plays solo has made a step forward. A piano duo of N. Petrov and A. Gindin gained a lot of success and soon became a corporate part of concert life in Russia and abroad. Nikolai Petrov has strong political views. Ignoring influences from the outside he never betrays his own principles and often appears on TV and radio and hits the headlines. His colleagues appreciate his independent opinion. Petrov is often invited to take part in many international piano competitions as a juryman. At the XIII Tchaikovsky International Competition he was the head of the jury for the piano contest. In October 1998 the pianist founded his own International Charity Foundation and became its leader. The foundation supports young music talents as well as veterans. Grants and scholarships for prospective students seem as one of the main goals of the charity organization. Thanks to such help young talents can take part in various international competitions and buy instruments. The foundation established nominal pensions for veterans of arts and culture. It arranges musical contests and clinics in the most distant corners of Russia. 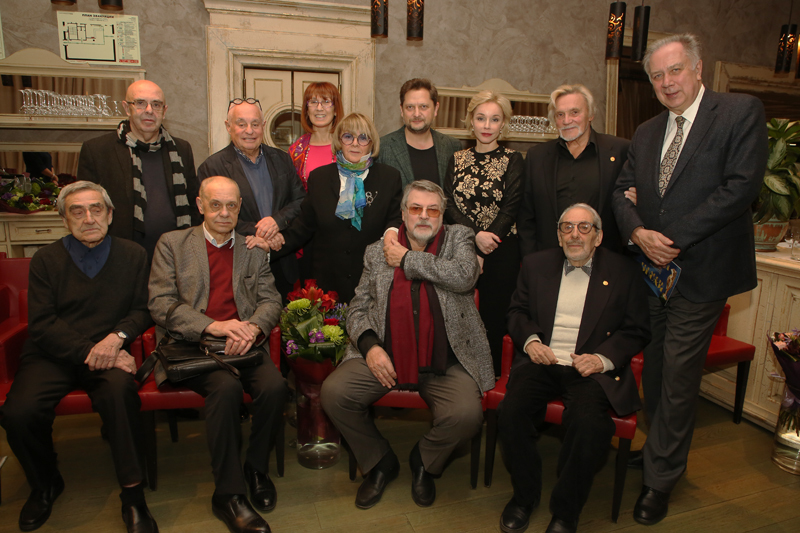 That is to say, it does everything to preserve priceless creative legacy of Russian music. In 1995 Petrov initiated the Russian Academy of Arts. Among its founders were such distinguished personalities as Igor Moiseyev, Bulat Okudzhava, Elina Bystritskaya, Vladimir Vasilyev, Svyatoslav Belza, Evgeny Zevin and others. The idea behind the Academy was that people of art joined and could preserve unique intellectual, spiritual and cultural values of their country and find more opportunities for development of such creative potential. Due to his active citizenship the name of Nikolai Petrov is also known among those who are not involved in arts. He has wide interests and always tries to do as much as he can. Besides being Professor of the Moscow Conservatory and President and founder of the Russian Academy of Arts he is also Chairman of the Section on Musical Legacy of the Council for Culture and Arts of the President of Russian Federation, Member of the President’s Council for Culture and State Prizes. Due to his many deeds Nikolai Petrov received many honorary degrees and awards.